The Trump administration tried to downplay the New Zealand terrorist’s white supremacist views and the global threat of the radical right. That’s dangerous. The man hates “anti-white scum,” calls for the murder of Muslims and liberals, and rails against “white genocide.” He describes himself as a “fascist” and cites the late British fascist leader Oswald Mosley as his most admired public figure. He sees racists, such as Anders Breivik, who murdered 77 people, and Dylann Roof, who killed 9, as heroes. He cites the white supremacist “14 Words” as a mantra. But to Kellyanne Conway, counselor, spokesman and one-time campaign manager for President Donald Trump, he is a pro-China “eco-terrorist.” That, she asserts, is why he murdered 50 Muslims in two New Zealand mosques. Now it’s true that Conway, already infamous for her citation of “alternative facts,” has lied and obfuscated regularly from the podium of the White House press room. She even cited a nonexistent “Bowling Green massacre,” supposedly carried out by Iraqi terrorists, to justify Trump’s proposed Muslim immigration ban. So perhaps her counter-factual take on Tarrant should not be much of a surprise. Except that she’s hardly alone. Mick Mulvaney, White House chief of staff, echoed Conway, claiming that the accused terrorist’s 74-page manifesto had “eco-terrorist passages.” He angrily rejected any attempt to link Trump’s rhetoric to the New Zealand massacre, despite Trump’s long history of denouncing Muslims as potential terrorists. The alleged shooter didn’t quite see it that way. “Were/are you a supporter of Donald Trump?” he asked in his manifesto. “As a symbol of renewed identity and common purpose? Sure.” He mocked Trump as a man capable of being a leader and making policy, but clearly identified him as a symbol of surging white nationalism. Actually, Trump’s racism has been well documented. He was a leading “birther” claiming Barack Obama was not a native American. He encouraged violence against black protesters at his rallies. He called Haiti and various black majority African countries “shitholes.” In response to the Black Lives Matter movement, he encouraged police to be rougher when making arrests. He pushed to surveil Muslim communities, called Syrian immigrant refugees a “Trojan horse,” and falsely accused Muslims in America of celebrating the 9/11 attacks. But Trump’s most remarkable statement with regard to the radical right came just hours after the slaughter in response to a question from a reporter about whether the New Zealand attack reflected a rising white nationalist movement. The president was entirely wrong. The Center for Strategic and International Studies, studying terrorism cases between 2007 and 2017, found that there were five or fewer right-wing extremist attacks each year between 2007 and 2011; that rose to 14 in 2012 and hit 31 in 2017. The 2018 Global Terrorism Index found that far-right terrorism was a “growing concern” in both Europe and the United States. “In the four years between 2013 and 2017, there were 66 deaths and 127 attacks caused in Western Europe and North America by far-right groups and individuals,” it said. The claim that the killer was really an “eco-terrorist” comes from a superficial and historically ignorant reading of his manifesto. In fact, his manifesto does touch on “hedonistic, nihilistic individuals” who are destroying the environment. He says he is an “eco-fascist by nature.” But what Conway, Trump, Mulvaney and much of the right-wing press apparently don’t realize is that Adolf Hitler and the original Nazis saw themselves very much as environmentalists. Among other things, they thought Jews despoiled the landscape, just as the New Zealand killer believes Muslims are doing. And that killer does speak well of China, if briefly, but that is clearly because he likes that country’s authoritarian style of government. It is not because he wants to bring a socialist revolution to the masses of peasants and workers. The fact that many of Trump’s enablers have cottoned on to the claim that the shooter — who at one point refers to himself as a “kebab removalist” — is some kind of leftist speaks for itself. Apparently incapable of showing sympathy for 50 Muslim victims, or of admitting the obvious fact that the radical right is growing around the globe, they simply revert to a plain and unmistakable lie. 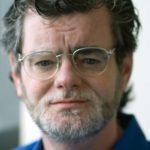 Mark Potok is an expert on the American radical right who was a senior official at the Southern Poverty Law Center civil rights organization for 20 years and is now a Senior Fellow at the Centre for Analysis of the Radical Right. He lives in Montgomery, Alabama.